In the British supermarket chain Waitrose received an unusual strawberries - white with red seeds, with the taste and smell of pineapple. 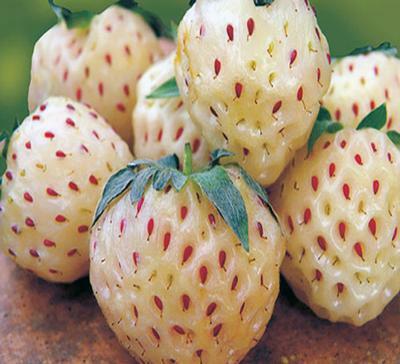 White strawberries, which in English is called "paynberri" (pineberry, pineapple berry), was called the "crossing" of two English words - pineapple (pineapple) and strawberry (strawberry). The very same berry appeared in the mid 18th century in Europe by crossing different species of wild strawberries from North and South America. 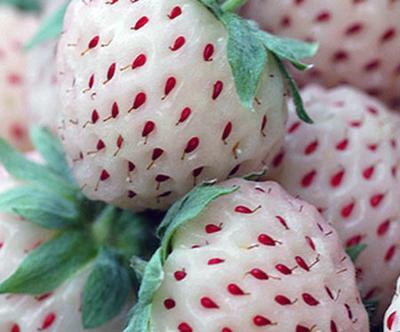 At one point, a white strawberry on the verge of extinction. However, seven years ago, the Dutch farmers withdrew its cultivation and production on a commercial level. It is from the Netherlands will go on the shelves of fruit supply Waitrose. White fruits with red seeds in size slightly smaller than the usual red strawberries, but they have a strong flavor of pineapple. According to its biological origin, they are identical to the usual strawberry (strawberries) and belong to the same species Fragaria Ananassa. White strawberries can be eaten fresh, served with yogurt or ice cream, use to decorate desserts and drinks. To April 13, 125-gram box "paynberri" will be sold for 2.99 pounds ($ 4.5), and after that - a pound more. This is not the first time that Waitrose surprises its customers with unusual berry novelties.